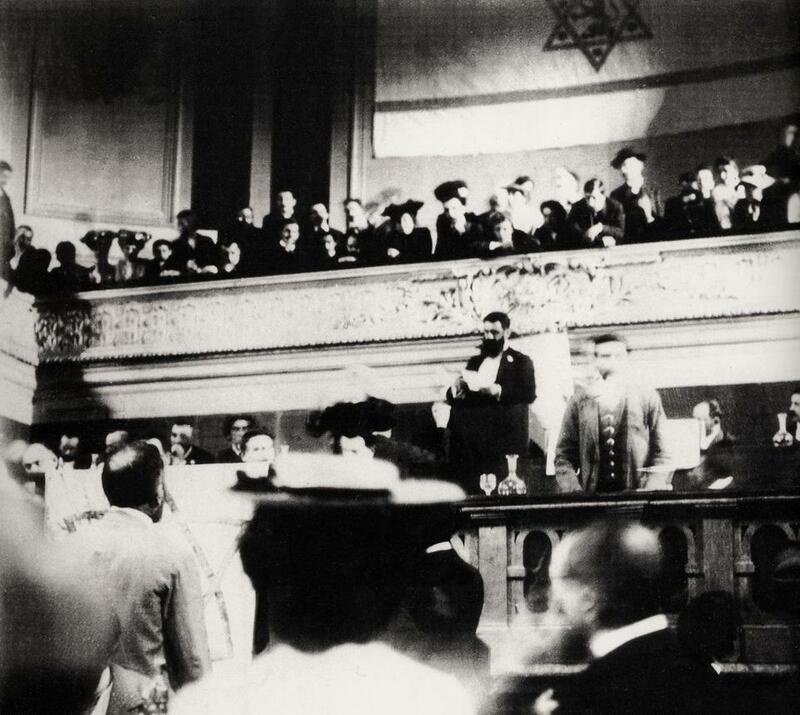 Theodor Herzl gives the opening speech at the 6th Congress in Basel in 1903. The documentary “It Is No Dream: The Life of Theodor Herzl” takes its title from a famous remark of Herzl’s, “If you will it, it is no dream.” “It” refers to a homeland for the Jews, an utterly improbable idea in 1896, when Herzl, a well-known Viennese playwright and journalist, first proposed it. 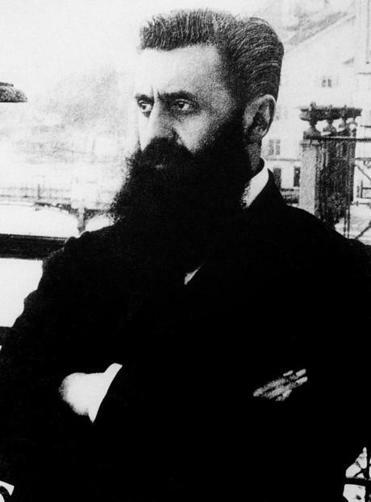 An assimilated Jew, Herzl had been horrified by the Dreyfus Case, which he’d followed closely as the Paris correspondent for a leading Viennese paper. Alfred Dreyfus, a Jewish French army officer, was framed on espionage charges and sentenced to life imprisonment on Devil’s Island. It was Dreyfus’s being Jewish that led to his conviction, not any guilt on his part. If even France, Europe’s leading democracy and the source, a century earlier, of the Declaration of the Rights of Man, could give itself up so blatantly and publicly to anti-Semitism, Herzl decided, there was nowhere in Europe safe for Jews. Herzl toyed with various responses: mass conversion to Christianity, challenging leading anti-Semites to duels (he’d been a member of a dueling society as a college undergraduate — a mark of how assimilated he was). Finally, Herzl hit upon the idea of a homeland in Palestine, returning the Jewish people to where they had lived before the Diaspora. Others felt that Argentina might work better. Later the British would offer Uganda, a proposal Herzl was willing to accept, albeit with reservations, until others strenuously objected. Richard Trank’s film is sober, detailed, and handsomely mounted. Ben Kingsley narrates, to excellent effect. Stylistically, the documentary is fairly traditional, too (no reenactments, thank you very much). It combines archival photographs and film, readings from historical texts (Christoph Waltz, of “Inglourious Basterds” fame, provides the voice of Herzl), footage of sites in Herzl’s life as they now appear, and the occasional talking-head interview. Israeli President Shimon Peres appears at the beginning and end, as if in benediction. Herzl was “a king without a kingdom,” Peres says, “and a prince without a people.” As the prominent place devoted to Peres might suggest, the documentary takes for granted that Herzl’s legacy is an unmixed blessing, a view not all would agree with. A New York Times reviewer called “It Is No Dream” “clueless” for not including “the hot-button issues of Zionism.” But the film’s subtitle is a reminder that Trank hasn’t made a history of Zionism. He’s made a biography of Zionism’s founder. He offers a heroic interpretation of his subject, and there can be no doubt that Herzl gave heroically to the cause. Worn out by his efforts, he was just 44 when he died, in 1904. Israel’s founding lay more than four decades in the future, after two world wars and the Holocaust, but it would come.